The following interview was published in Optimum VA, The Official Newsletter of the National Association of Veterans Affairs Optometrists (NAVAO), Summer 2015. How did you first become actively involved with VA Optometry? In the 1970s, while serving as the Director of NECO’s clinical program, Dr. Ken Myers, Founding Director of the VA Optometry Service, called and asked if NECO was interested in sponsoring a VA funded residency program at the Boston VA OPC. After establishing the OPC residency program and agreeing to further development of residency programs at other Boston VA facilities, I then served on Dr. Myers’ Advisory Group for a number of years. Ken and I shared a similar view on the importance of optometrists practicing in collaboration with physicians. I became increasingly interested in the potential that VA Optometry could offer in advancing the Profession of Optometry in patient care, clinical education and research. When Dr. Myers resigned as Director in 1990, I enthusiastically agreed to succeed him. What contributions to VA Optometry have you participated in that you feel proud of? Appointed the first Optometry Field Advisory Group. In collaboration with NAVAO, ASCO and the AOA, I updated and enhanced the Optometry Service Strategic Plan. ASCO forwarded the Plan to VACO and the Undersecretary for Health instructed me to implement the key elements of the Plan including the addition of 53 centrally-funded optometry positions, 21 residents and the necessary eye care equipment. At the invitation of the Undersecretary for Health, briefed the senior administration of VHA on all aspects of the Optometry Service and gained standing in VACO for the Optometry Service. Standardized the optometry clinical education program in cooperation with ASCO. Disseminated numerous clinical guidelines including preferred practice patterns, credentialing and privileging, eye care space criteria, staffing models and productivity standards. With assistance from several NAVAO members, conducted a system-wide inventory of all VHA eye care (optometrists and ophthalmologists) manpower, facilities and training programs. The results were presented to SMAG by the Optometry Representative along with recommendations to further increase eye care manpower, facilities and equipment. At the request of the VHA senior administration, interviewed and recommended for appointment the first ophthalmological consultant to VHA, and effectively advanced an agenda of cooperation between the two eye care disciplines. Appointed by the Undersecretary for Health to a high level Eye Care Advisory Group consisting of nationally recognized optometrists and ophthalmologists. In consultation with the Group, advised the Undersecretary on policy to improve collaboration between the two eye care disciplines in patient care, education and research. Stimulated research in low vision rehabilitation with $6 million in funded research projects. Reduced the average waiting time for primary eye care services by 30%. Initiated a nation-wide recruitment effort to reach under-represented groups for placement in VA optometry staff and residency positions resulting in a significant increase in female staff and residency appointments. What advice would you give to new ODs entering the profession? Complete a Specialty Residency Program and achieve Specialty Board Certification preferably in Medical Optometry. The most challenging and rewarding positions in optometry will be within hospitals and other medical facilities and specialty credentials will be required for appointment. What would you like to see happen in the future of VA Optometry? Dr. Townsend has done an outstanding job in increasing the number of VA optometrists, residents and students on clinical rotation. He has instituted innovative programs such as research fellowships while significantly expanding low vision programs. He has developed the VA Optometry Service into one of the most productive in VHA. The Eye Care Handbook he authored has positioned optometry as a major patient care and clinical training component in the VA as an equal partner with ophthalmology. The Handbook is considered the model for all optometry programs located within medical facilities. Despite the impressive progress, more needs to be done. I would like to see the following completed in the next two years. Optometry Qualification Standards updated to include requirements for Specialty Residency Training and Specialty Board Certification in appropriate sections. Optometry Service Strategic Plan Updated in collaboration with NAVAO, ASCO and AOA and submitted to the Undersecretary for Health with specific recommendations. Restrictions or caps on optometrists pay removed to encourage retention of the most experienced clinicians. Optometry Service Field Advisory Group to brief the new Optometry SMAG Representative on the challenges and opportunities in VA Optometry. Encourage more active involvement of academic affiliates with VA facilities including participation on Deans Committees and other advisory groups. 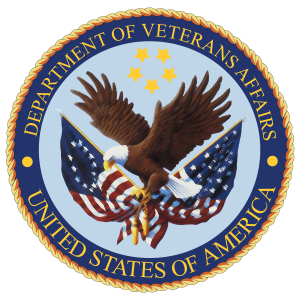 Appointment of a VA representative to the ACOE. Continue VA Optometry’s leadership in Specialty Training and Board Certification by ABCMO. Encourage the development of the American Board of Optometry Specialties (ABOS) similar to the American Board of Medical Specialties (ABMS). This oversight board would establish and ensure high standards for all Specialty Certification Boards. Thank you for the opportunity to share my VA experiences with NAVAO.